Mill Road Garage in Golden Hill Park, Freshwater are a well-established business that provide professional mechanical and bodyshop services. Our mechanical services range from domestic to commercial customers, providing an excellent service to fix any issues your vehicle may have at a price that gives value for money. Based in Freshwater on the Isle of Wight, we conveniently provide garage services to the West Wight, including Freshwater, Totland, Brighstone, Calbourne Shalfleet and Yarmouth, we also serve Newport and Cowes, as well as the rest of the IOW and further afield. With over 40 years of experience in the mechanical services industry, we can guarantee our work is reliable. All our staff have completed extensive training and have gained excellent experience in their time as mechanics. We value our customers and make it our job to ensure it is straightforward for you when explaining what is required to repair your vehicle. Not only do we have 40 years of experience we have been based in the West Wight since we started. We support many local businesses and are proud of the work we do to try keep the residents of the Isle of Wight safely on the road. We supply a full range of fixed price vehicle servicing from short services starting at £79 to premium services from £210 inc. VAT. Our vehicle MOT’s start from just £30. If you have any questions regarding an MOT then please get in touch prior to booking. Warning light on your dash? Let us diagnose the problem and give professional advice on how to fix any issues. From winter checks to general safety checks, we can look after any make or model of vehicle, just ask and we can offer assistance. We offer a tyre fitting and puncture repair service with wheel balancing and tracking available. Mill Road Garage can recover vehicles for your convenience. Battery struggling for power? We can run diagnostics and supply new batteries if needed. We can diagnose, repair and replace most exhaust systems, don't risk causing further engine damage. Carbon Cleaning is like a detox for your car's engine. It is an efficient way to remove the carbon that has built up in your engine. 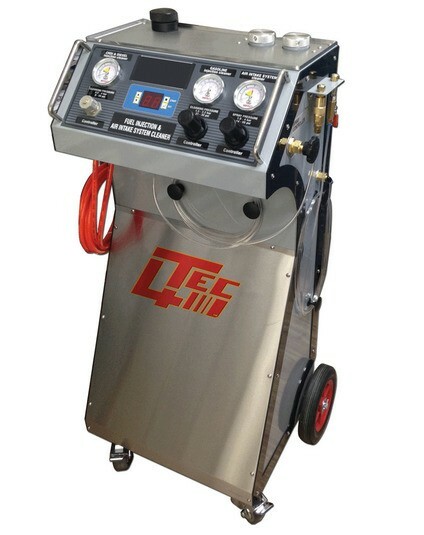 Tec4 treatments are the culmination of years of research and development and are not only the most effective engine treatments available on the market, they are also safe due to the unique way they dissolve contamination using blended detergents and cleaning agents. 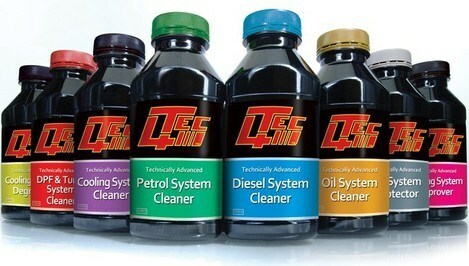 Tec4 Oil, Petrol, Diesel and Cooling system cleaners do exactly what it says on the bottle. They clean the system restoring lost performance. Petrol, Oil and Diesel are made from organic matter. When they combust or are left to naturally degrade, contamination is created.This contamination builds up on key components within the engine,resulting in a gradual loss of performance and fuel economy. As your local West Wight body shop and accident repair centre, Mill Road Garage is perfectly positioned to provide the ultimate range of solutions for all your vehicle repair and refurbishment requirements. We can completely repair all brands and models of car and light commercial vehicles to an extremely high standard. From classic car refurbishments to 4x4s and modern sports cars, we have all your repair and refurbishment needs covered. Whatever vehicle you need restored or repaired, you can depend on Mill Road Garage to restore its appearance to an as-good-as-new, showroom level, which will have it looking like it has just rolled off the factory production-line. Our growing reputation for high quality work at a fair price speaks for itself, serving restoration clients based countrywide.